I love a good surprise so when I was contacted recently by Serenata Flowers to see if I'd like to review one of the many hampers that they stock how could I refuse. Trouble was I couldn't decide which one I really wanted so I left it up to them to pick out one for me. Can I say firstly, speedy delivery, I spoke to them in the afternoon and by the next day I had my hamper in hand, brilliant service. 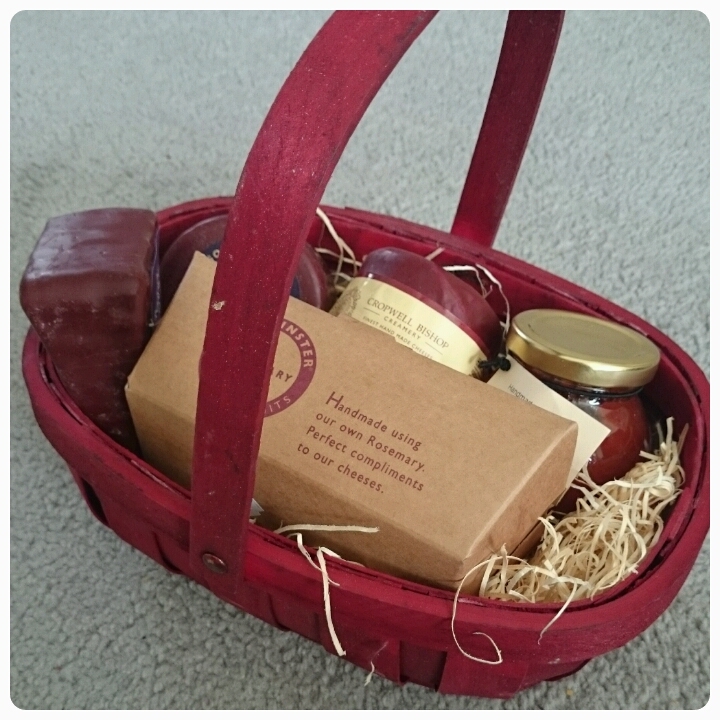 The hamper I received was the Cheese Trug. 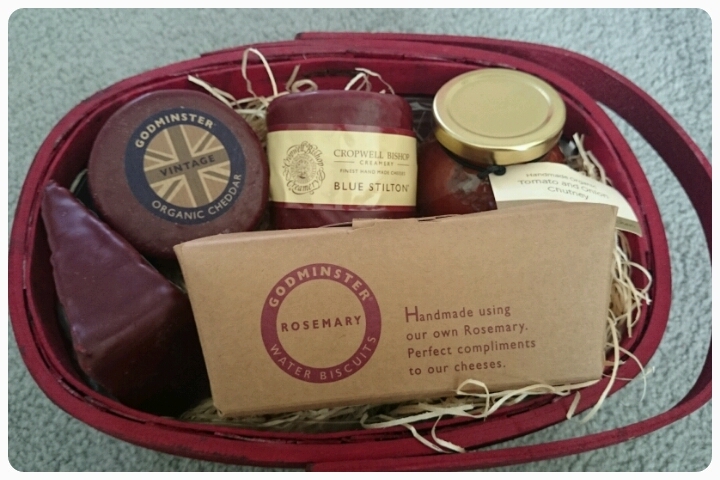 Lots of scrummy cheese, crackers and chutney all gorgeously presented in a lovely basket. 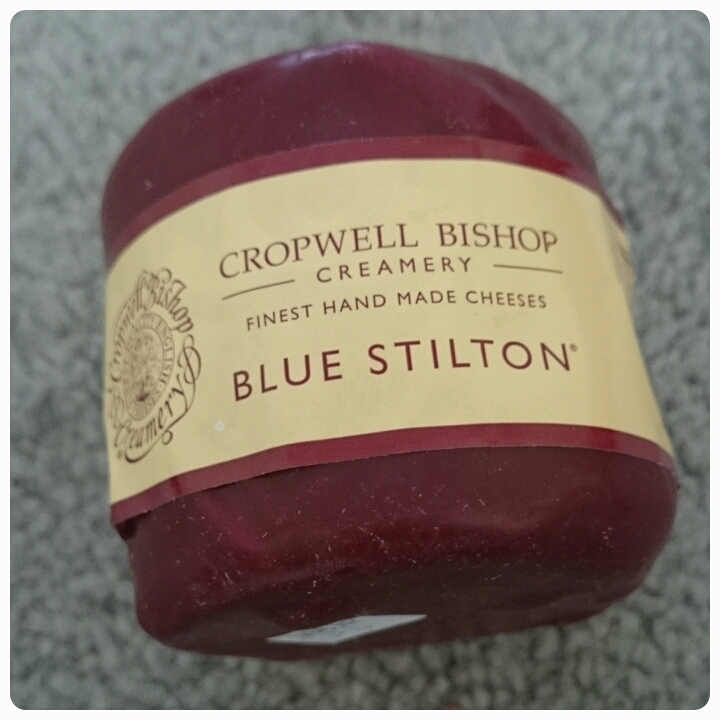 * Cropwell Bishop Blue Stilton - now I have to admit I'm not the biggest fan of stilton however I opted to use this when making a brocolli and stilton soup. 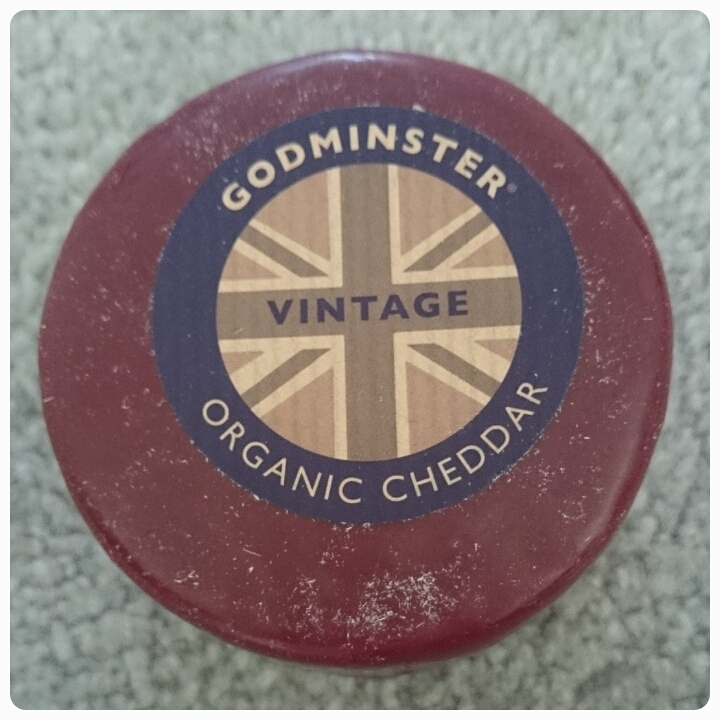 * Godminster Vintage Organic Cheddar Cheese - I adore cheddar and as I've got older the stronger the cheese the better it seems to taste, this made for a delightful cheese and pickle sandwich!! 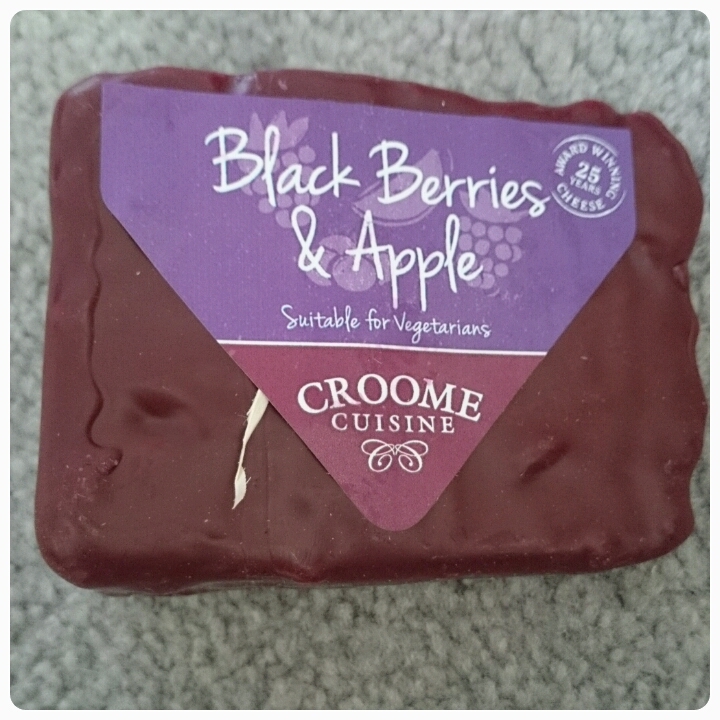 Hand Waxed Blackberries, Cranberries & Apple Cheese - Lets start by saying good way to get some of your five a day in ;) This I suppose is more of a dessert cheese, wonderfully creamy with little chunks of fruit adding a sweetness to it. 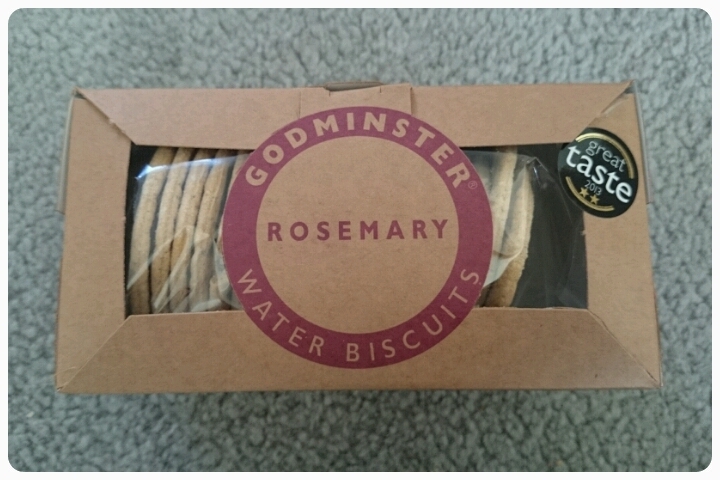 * GodminsterWater Biscuits With Rosemary - Cheese and crackers are a match made in heaven and these water biscuits are no exception. I made myself a little cheese board and put a bit of everything on, all the items seemed to compliment each other so well. 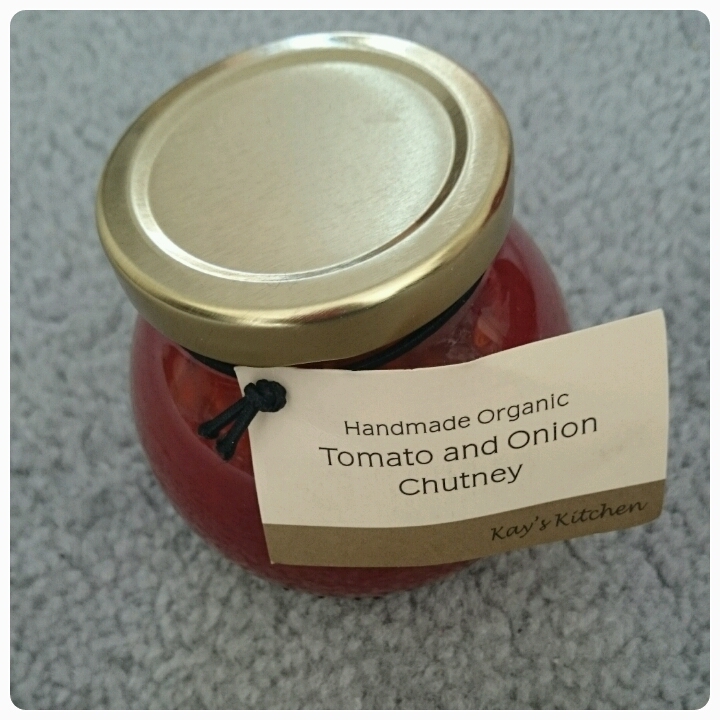 * Kay's Kitchen Tomato & Onion Chutney - A great mix and of cheese and tomato is another classic combination. I also opted to put this in a sausage sandwich, something you must try!! Priced at £39.99, this cheese trug makes the perfect gift, whether you want to treat someone else or you think you deserve a little something for yourself and the basket that everything comes in can be used again, recycle to put more presents in it or display something in. Now if you like the sound of this hamper, how about the chance to win one of your choice up to the value of £40? All you need to do is fill out the rafflecopter below. Open to UK residents only, this giveaway will close at 11.59pm on the 31st March 2015, make sure to enter correctly as all entries are checked and verified. The Chocolate Temptations looks wonderful! I really like the look of Sugar Blush! The cheese trug would be perfect as I love cheese SO much, I should be a mouse! Chocolate temptation sounds very, err... tempting!! The Food Glorious Food Hamper looks fantastic! I would choose the White Wine Gift Basket as it's my mum's birthday soon and I am sure this would be right up her street ! I'd choose the Chocolate Temptations hamper. Yum! Chocolate Temptations hamper, looks great. I'm not sure I could resist the chocolate temptations hamper!!!!! Both myself and my husband love cheeses so would definitely go for the cheese trug, sounds lovely! The protein in the Cheese trug would be great for my body building. And good fats too. any of the hampers with chocolate in! That cheese trug looks good, I would invite my parents over to try it out with us. Or maybe the Little Luxuries Gift Box, with sweet and savoury treats. I'd choose the Pamper Her Perfect hamper. Cheese Trug. I'm a bit of a cheese lover! Oh the chocolate temptation...so so so gorgeous! Thank u for lovey comp! The cheese trug sounds lovely! I'd have to choose the Sugar Blush hamper! It sounds delicious! It would have to be the Chocolate Temptations hamper! The Cheese Trug look really tasty! Very hard to choose but probably Chocolate Temptations. The cheese trug sounds delciious! The champagne and chocolates hamper would be nice as part of a date. Chocolate Temptations, though all are tempting. I love the look of the cheese trug but I think I would probably choose the time for tea, both so nice though, diff to decide! The lovely pink Time For Tea Trug. I am digging the cheese trug YUM! The tantalising treats or the cheese trug but they all look good especially the champagne ones! Cheese trug! But i think I'd like them all. Spoilt for choice, possibly something with chocolates in like chocolate temptations. The Little Luxuries Hamper appeals to me most. It would have to be the Chocolate temptation one! I would choose the Divine Decadence hamper I think.